Yes, you hear it right. 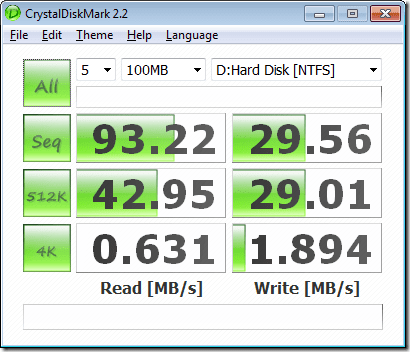 The upcoming version of the best Bootable USB flash drive maker is able to download Windows 10 and 8.1 ISO images directly from Microsoft and creates the USB drives that you can use to install Windows 10 or 8.1 systems. Thanks for the tip from Into Windows. 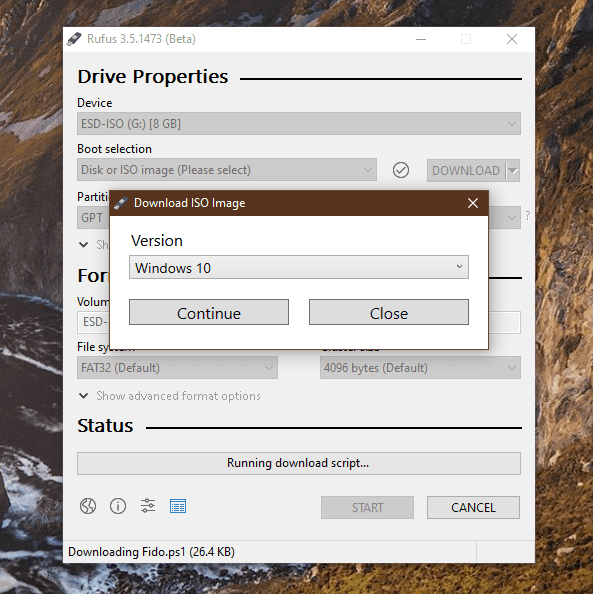 The current stable version of Rufus 3.4 doesn’t have this download feature built-in. 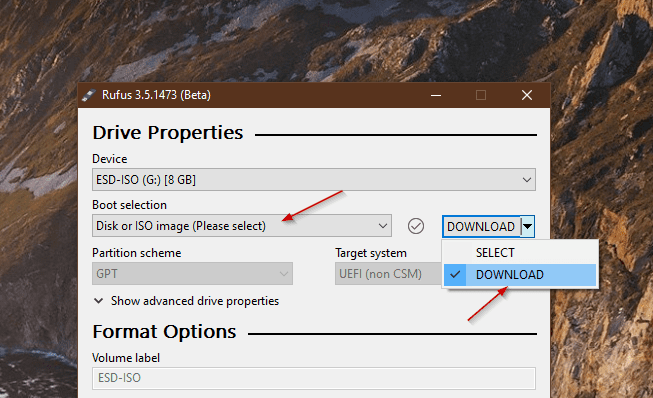 Since the next version of 3.5 hasn’t released yet, you can give it a try with its 3.5 beta version, which you can download directly from here. 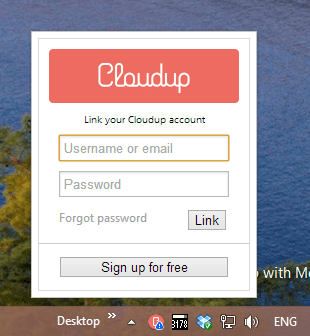 The beta version is also portable so you can download and run without installing it. 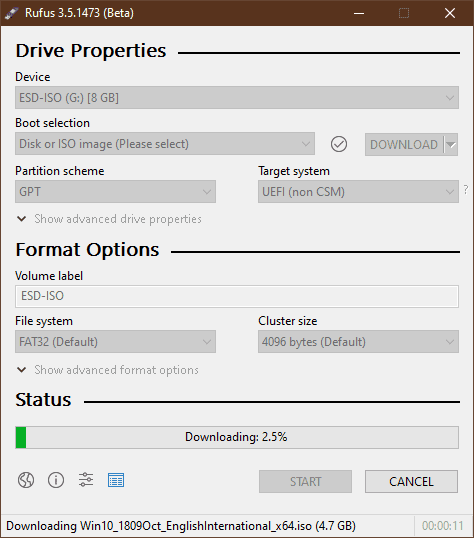 Open Rufus 3.5 Beta, pick a USB drive from the drop-down list, select Disk or ISO Image from Boot selection list. And select Download from the Select dropdown. 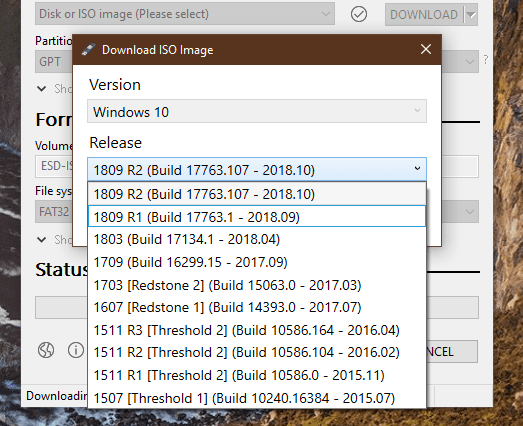 Note that if you don’t see the Download option, you probably still have an older version in the same folder. Close Rufus, delete the rufus.ini file and open it again. Now, click the Download button. It launches a download script written in Powershell and a download window pops up. 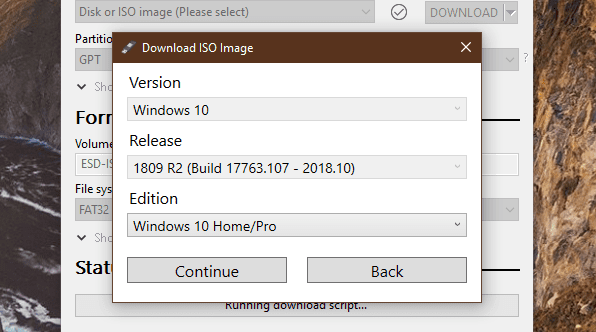 Click Continue and select a version of Image you would like to download. Click Continue, and now let’s pick up an Edition, Home/Pro or Education. Click Continue again, select Language from the drop-down list. 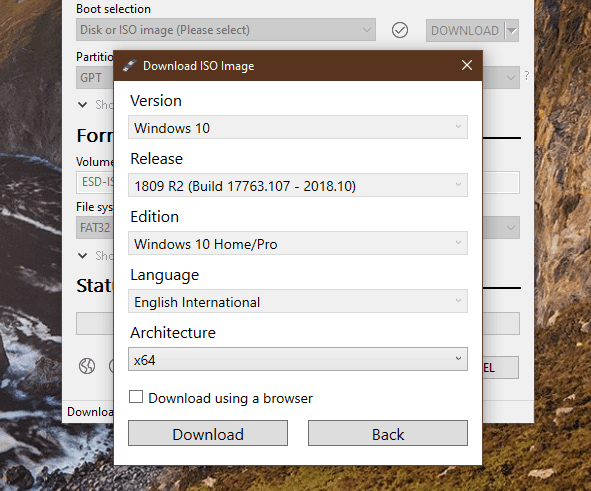 Click Continue one more time and pick an Architecture from x64 or x86. Now click Download to start the process. Too many Continues to click but at least it works. 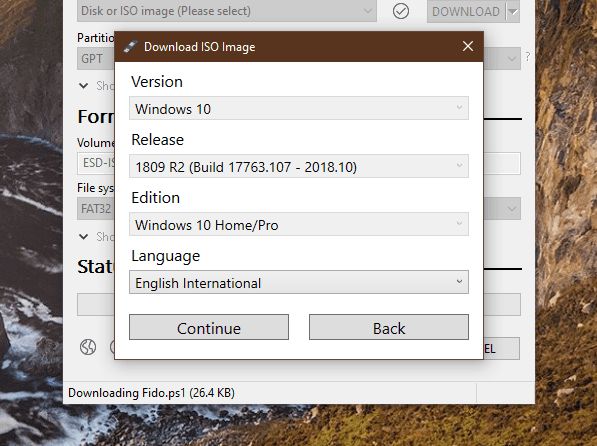 Now I don’t have to look for the ISO image file to burn. Rufus takes care of everything for me.